Dynamic traffic control takes into consideration the current traffic situation and influences the traffic flow by means of previously defined strategies. It helps to measurably improve traffic flow. Phoneix Contact India Pvt Ltd offers a comprehensive portfolio of solutions. Complex systems which must operate in a fail-safe way, such as transportation routes, engineering works, airports or railway stations, require intelligent automation solutions: Remote control technology, safe communication networks, and powerful surge protection to redundant control. All of these individual components can be optimally adapted to the individual project and combined to create a tailor-made turn-key solution. Safety is always top priority when automating traffic infrastructure. At the same time, high traffic volume and central monitoring demand particularly high-performance technology. The IT powered intelligent control systems offers flexible, rugged, energy efficient and easy to use solutions for roads, airports and waterways transportation systems. Along with control and monitoring, the customer also gets benefited from protection, security, and connectivity solutions from Phoneix Contact portfolio bundled together for seamless operations. The intelligent solutions include toll gate automation, security check post automation, vehicle classification, dynamic sign board management, traffic signal light management, street / highway light management, tunnel automation, lock automation, runway light control, tunnel evacuation guidance system and many more. High way traffic management system is an integration of multiple applications functioning together. The user can choose the right modules or all of them as per there requirements and site conditions. 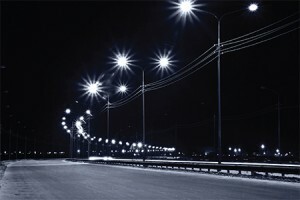 It is important to control street lighting systems efficiently and above all, in an energy saving way. With the automation systems, one can communicate via standardized remote control technology and keep an eye on everything due to modular activity recording from individual lamps and the control cabinet on the street to the control room. With the LED signal lamps and control technology, it is possible to design reliable and energy efficient signaling systems for maritime use. Thanks to the bus connection, they can be seamlessly integrated into one’s network. Power supply and communication have a failsafe design. Highway utility management system consists of emergency service call box system, closed circuit camera integration system, public utility services management and highway traffic management system networking. The closed circuit camera and networking system are in continuous operations, while the public utility and emergency service call box system are required to be operational on need basis. The closed circuit camera system ate mostly Ethernet based systems. Phoenix contact provides efficient networking of these systems with Power over Ethernet technology resulting in low working on site and efficient management. The complete HTMS networking is done using the multiple serial to FO converters and GSM/GPRS modems and Ethernet switches and FO converters where ever required. The Important point is that all the technologies can work in combination with each other and hence provide complete flexibility to the user to opt for the most flexible network structure for his requirement. The emergency call boxes and public utility services are of importance as they are required at the time of inconvenience to the highway user. The high availability of these services are of vital concern. Conditional monitoring and fault alarm system can not only generate local visual and audio alarm but also provide the alarms via network over serial / Ethernet and GSM/GPRS network as desired.